The Greater Monterey Peninsula Planning Area is bordered by the North County and Greater Salinas Planning Areas on the north, the Toro and Cachagua Planning Areas on the east, and the Coast Planning Area on the south. 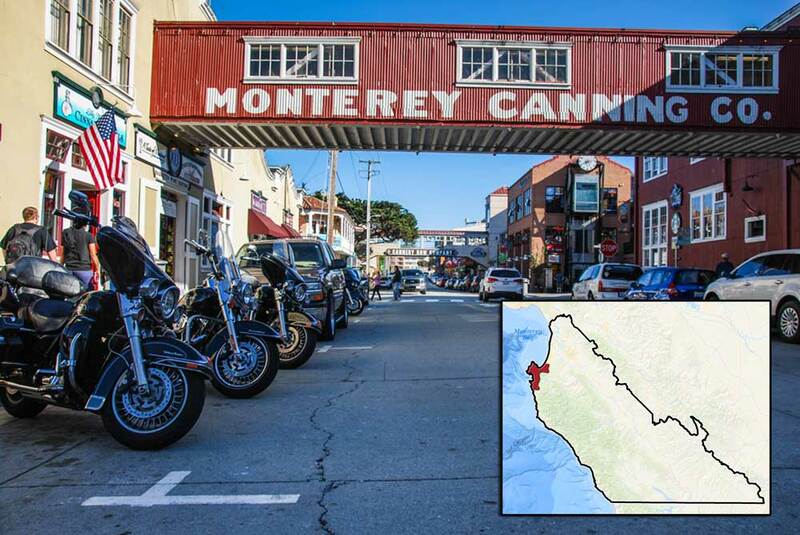 Within its boundaries lie the incorporated coastal cities of Monterey, Carmel, Seaside, Pacific Grove, Marina, Sand City, and Del Rey Oaks. Federal lands in the Planning Area include the 27,954-acre Fort Ord military reservation, the 392 acre Presidio of Monterey and approximately 9,000 acres of the Los Padres National Forest. The county’s general plan contains the Greater Monterey Peninsula Area Plan and it is one of eight area plans which address local issues. An area plan may be more specific than the General Plan because development opportunities, constraints, and natural resources of the Greater Monterey Peninsula Planning Area are unlike those in other parts of the County. 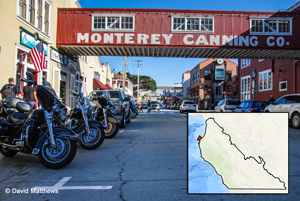 The Monterey Peninsula has many important issues facing the area. LandWatch has been involved with these issues for more than a decade. The City of Monterey was considering updated policies for its General Plan Update including revised language for its inclusionary housing ordinance. This 26.46 acre coastal project proposes to build a 139 room hotel, a 203 room resort, and 758 parking spaces along the west side of State Route 1 in Sand City. The project includes the construction of 104 residential condominium units in the Laguna Seca Office Park, the removal of 191 protected oak trees, and the widening of York Road. The Monterey Bay Boatworks extension multiple extensions of existing docks and several new docks to accommodate guest vessels. The North Fremont Specific Plan serves as a guide for future development along North Fremont Street, an area identified by the General Plan as a “Mixed-Use Village”, which is a mix of residences, retail shops, services and jobs in close proximity. These areas are designed to be well served by transit. Mixed use project consisting of retail space, a restaurant, condominiums, affordable housing, parking areas, and an on-site desalination plant. Citizen activists in Pacific Grove will soon be collecting signatures on a proposed initiative measure, to restrict future construction in areas within Pacific Grove that are zoned "O" for "Open Space." The 900 acre site has a proposal for between 90 and 100 residential units and would preserve 635 acres of forest land. The Golf Course project included upgrades to the irrigation system and the removal of 533 trees. In July 2012, the 900 acre site received approval for between 90 and 100 residential units and preserved 635 acres of forest land. The Pebble Beach project will now build inclusionary housing nearby. Plans for the new Master Plan of the Presidio of Monterey include two locations, the Presidio of Monterey and the Ord Military Community. Improvements focus on modernizing or replacing aging classrooms and dormitories and improving transportation circulation within the POM. This project would add an aerial zipline course in Jacks Peak Park among the Monterey Pine trees.